Are schools interested in improving classroom air quality? Indoor air quality is a growing concern in our schools. 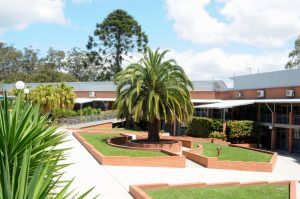 Staff members, students and visitors are being exposed to unnecessary germs, which include; mould, bacteria, dirt, mites, mice, biofilms, faeces, and geckos which can cause a variety of sicknesses, including respiratory problems. According to Asthma Australia, 1 in 9 Australians have asthma – around 2.5 million people. It’s more common in males aged 0–14, but among those aged 15 and over, a higher number of females suffer from Asthma. Affect allergic rhinitis which can make life a misery and cause sniffles and stuffy noses, especially in springtime. Impacting the learning environment, children suffering with allergies may feel uncomfortable and distract the class by sneezing and coughing. Both public and private schools have the responsibility of monitoring the air quality of classrooms with air conditioning. Some of the signs school maintenance can look for on dirty air cons include; signs of mould in the system (smelling or seeing mould), checking for dust coming off the air con vents or in the room and teachers can monitor the health of kids regularly. Recently, Sanitair Australia has noticed a higher interest from schools, such as The Central Coast Adventist school in improving the air quality in the classroom. Our technicians are being contacted more frequently from local schools. With the school air cons in hazardous states, some of our kids are now breathing in cleaner, healthier air. We hope to see the interest rise, not only from schools but also from parents. Parents should be addressing the concern of dirty air cons in the classrooms with education providers. Schools are not the only institutes that should consider the services of specialised air conditioning cleaning companies. Restaurants, day care centres, hospitals, businesses and age care homes should be cleaning their air cons every 12 months or sooner. Sanitair Australia has been professionally Cleaning and Sanitising all brands and types of air conditioning systems since 2005. Sanitair also has a remarkable 12 Month Mould FREE Guarantee on every premium service. Youi Insurance Head Office takes out Sanitair insurance! Youi Insurance understands the real costs of contaminated air conditioning and have taken out a small (IAQ) Indoor Air Quality insurance policy called Sanitair. When you have a work place of over 1000 staff working closely, indoor air quality is important. Airborne pathogens can move rapidly through air conditioning systems and increase the risk of viruses like Influenza. The transfer of influenza and other biological toxins can severely effect the workplace. Often large numbers of staff are then not able to turn up to complete their daily tasks. The reduction in active staff numbers alone can severely affect productivity. This can be extremely costly to a business’s bottom line. Reduced productivity can cost businesses like Youi tens of thousands of dollars in lost revenue annually. Therefore, a little insurance in IAQ Indoor Air Quality can pay off big time! Since 2015, John and the Sunshine Coast Sanitair team have been ensuring that staff and visitors at Youi Head Quarters breath clean air. We live in a world of increasing litigation. Sanitair services now also provide insurance against potential workplace law suits. Sanitair has documented evidence that the service we provide has saved businesses potentially thousands of dollars with the evidence required that negated legal action against their customers from industry bodies. A mould outbreak inside Ipswich Hospital’s intensive care unit has prompted staff to relocate six patients while the unit is shut down so the source of the problem can be removed. The problem was first discovered by staff in offices connected to the hospital’s intensive care unit (ICU) in April 2015. The mould was treated, but the West Moreton Hospital and Health Service (WMHHS) became concerned when it continually reappeared. An engineering report they received earlier this week found the ICU air conditioning unit was the source of the problem. Infections specialist Rashmi Dixit said the report showed the mould outbreak had reached a level and concentration that was potentially hazardous to people with weakened immune systems. “That would include patients on chemotherapy for cancer, patients with organ or bone marrow transplants or patients with untreated HIV,” she said. Six patients have been transferred out of the ICU. Four have been moved to a ward, one was transferred to the Toowoomba Hospital ICU and another was sent to intensive care at Brisbane’s PA Hospital. WMHHS medical services executive director Dr Pieter Pike said the main reason for moving people was to allow for the air-conditioning unit to be replaced. “For us to be able to do that, we had to remove the patients from the area,” he said. Ipswich Hospital has also established a temporary ICU bed in an operating theatre for urgent cases. Ms Dixit said while they had no clinical concerns about prior patients, anyone with concerns should consult a GP or Ipswich Hospital. The Ipswich ICU will remain closed until March 13, by which time the work will be completed and the unit will be thoroughly cleaned. Even at sea, indoor air quality is as important as a fresh sea breeze. Staff and visitors on board the Queensland Parks & Wildlife Cairns based patrol vessel, “Reef Ranger” now breathe with ease. 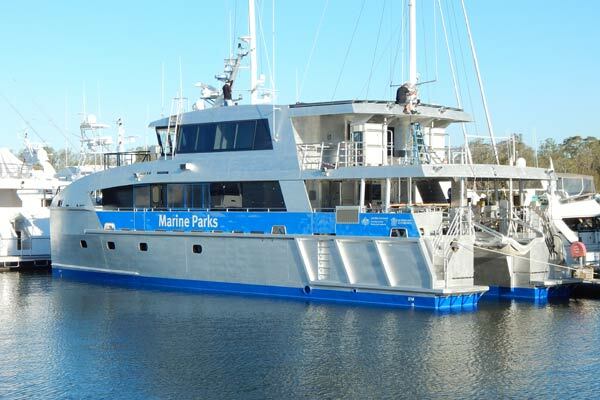 This is the second time that Wayne Haimes and the team from Sanitair™ Cairns have completely cleaned and sanitised the air conditioning systems on board Reef Ranger. Queensland and Australian governments jointly fund the 24-metre aluminium catamaran valued at 5 million dollars which acts as a floating ranger to monitor and protect the Reef in the most efficient and effective way possible. Reef Ranger can operate away from port for 12 weeks. It has a range of up to 2000 nautical miles, and a speed of up to 25 knots whilst carrying up to 28 people on board. Reef Ranger is capable of reaching all corners of the 348,000 square kilometre Great Barrier Reef World Heritage area. They can respond to incidents in all parts of the Great Barrier Reef Marine Park faster than previous vessels. A typical day on board the Reef Ranger might involve monitoring compliance of zoning rules. It may also include maintaining facilities such as camping grounds and moorings, fire and weed control on islands, working with Traditional Owners on their sea country or responding to boating or shipping incidents such as fuel spills. Reef Ranger is based in Cairns but spends more than 200 days of the year at sea. They travel the length and breadth of the World Heritage Area. Reef Ranger is a vital tool in the continued long-term protection of the Great Barrier Reef. The vessel constantly works towards improving the resilience of this natural wonder.